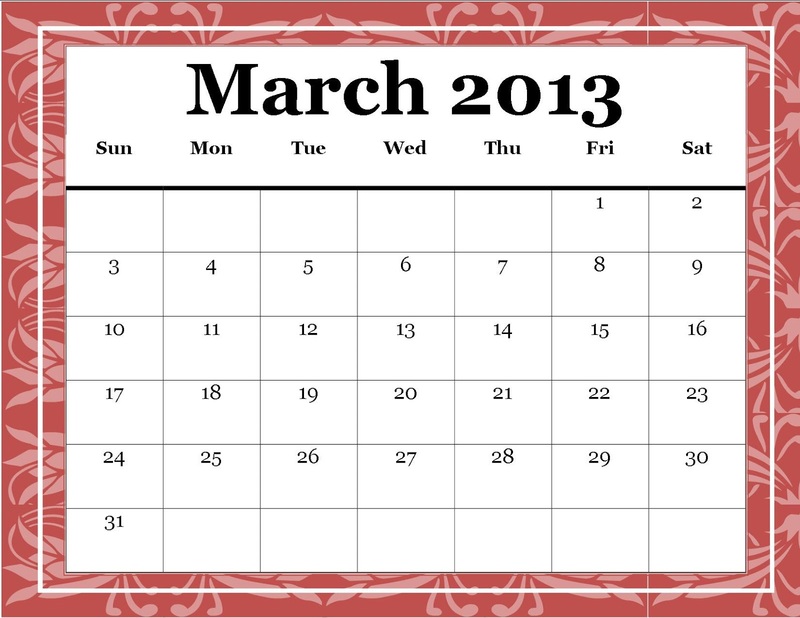 I find that just about this time of the year, I get an itch to organize everything. Call it Spring cleaning, I just know that I start to get antsy being cooped up most of the time in the house with many things in disarray. 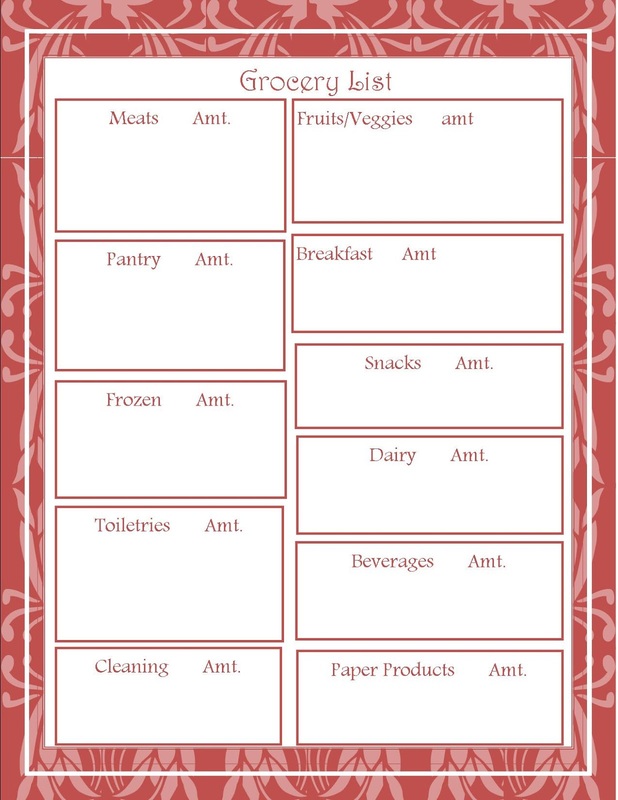 For the longest time I've been telling myself that I am going to come up with a better system of organizing our grocery purchases, kid's activities, etc. Now, I have a home organization board that we NEVER use. 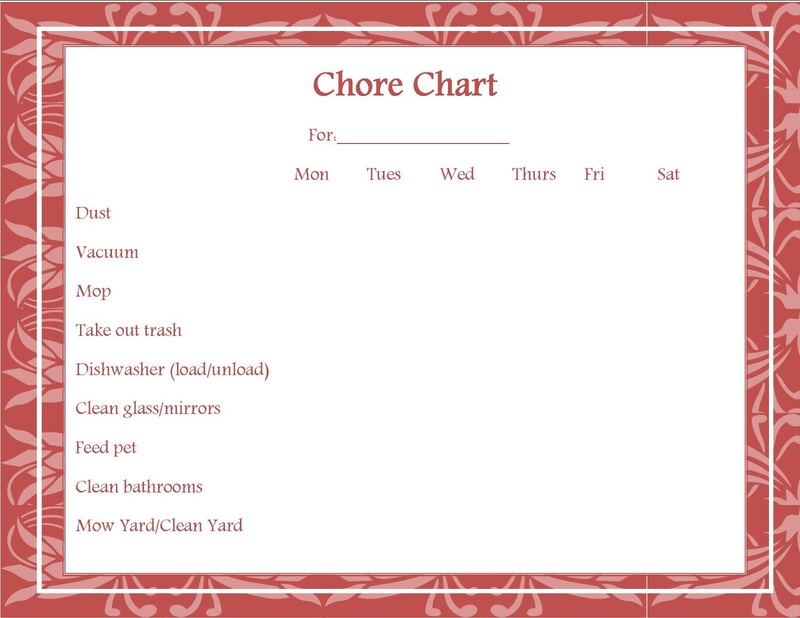 I figured I better come up with a new system for our family. I know you've seen these before. Some of them are offered free, some are sold. I looked around and I just couldn't find something that fit with my family. Either I didn't like the colors, the fonts, or the pages used. I really like scrolls and flourishes so I created this entire binder with the same pretty border (except the cover page, which I felt needed a little extra oomph). I used a pretty font that wasn't hard to read. 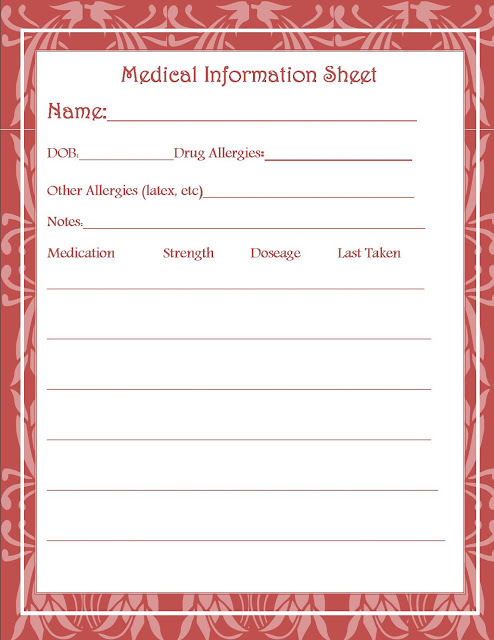 The most important page, I think, is the medical information sheet. I could have really used this the last time I was taken to the E.R.! My family had no clue what meds I was on! This way my family can head to the binder and pull this sheet out to give to the EMS people. 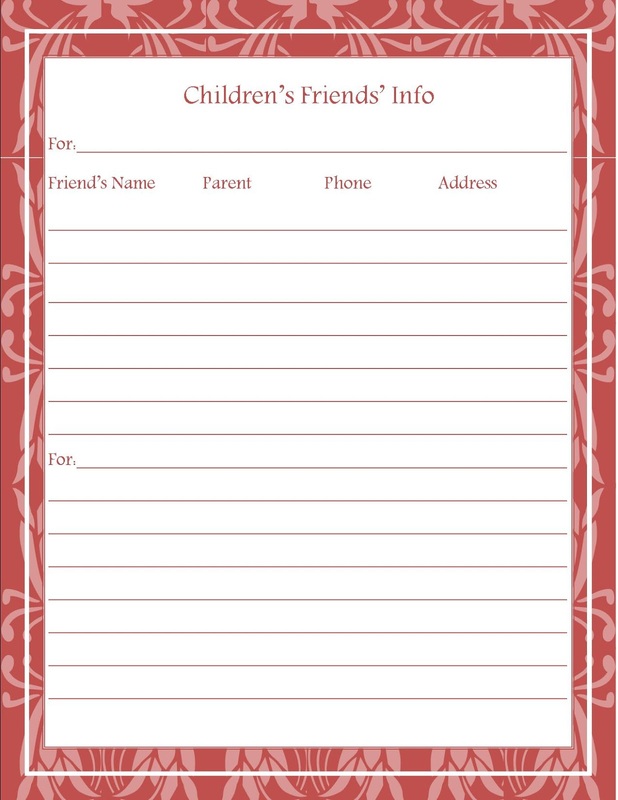 Another useful sheet is the Kid's Friend's info sheet. So many times I know where our boys are, but my hubby has NO IDEA who the parents are! 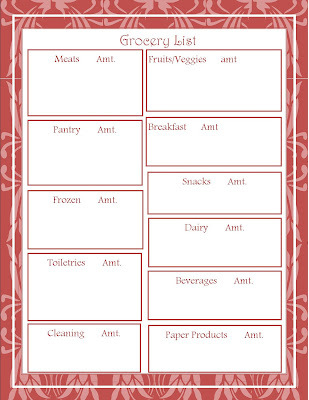 I created several different grocery planning sheets so you can use the one that fits your family the best. Also, I had to have an inspiration sheet. I find myself jotting things down in a notebook but it's not organized in any way. 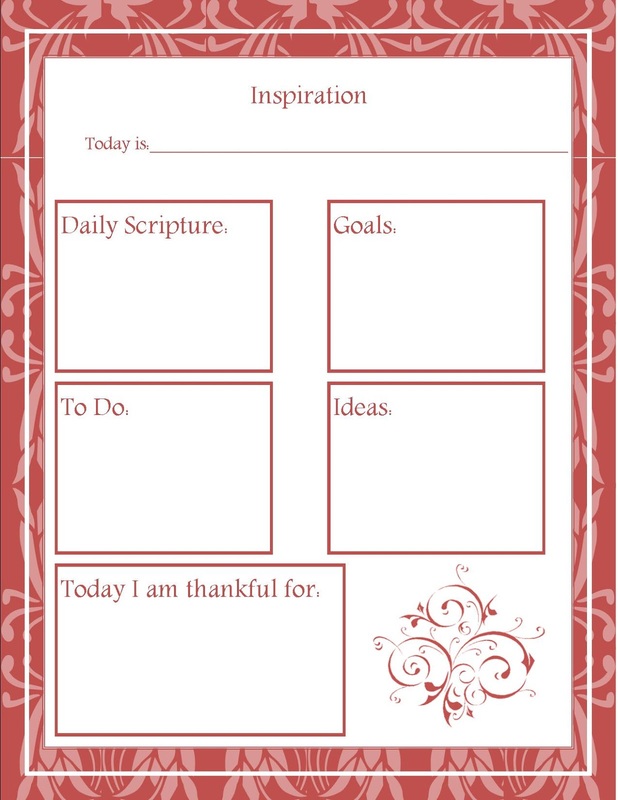 I plan on printing this sheet and putting it in its own little binder or folder where I can jot down my thoughts, scripture verses, etc for my own inspiration to use when I'm feeling down. I also think it will be a nice journaling prompt and good history to keep for my kids to read in the future. 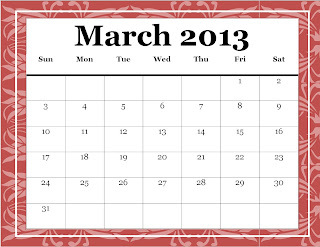 And of course what would home organization be without a calendar. I have several in there for you to use as you please. 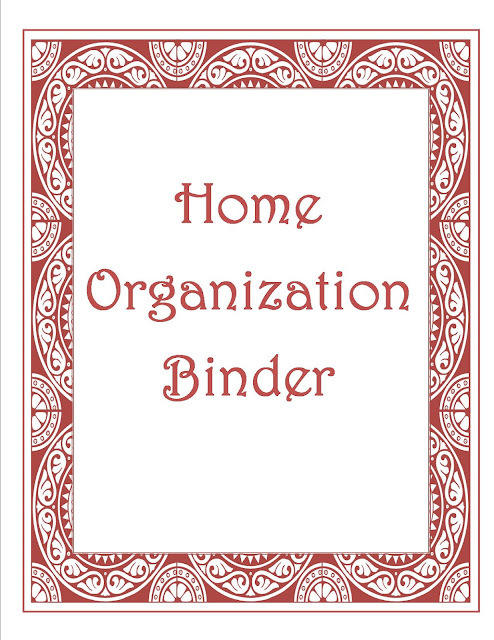 Since I'm feeling extra thankful these days, I am going to give you this ENTIRE BINDER FREE! All I ask you to do is post a link to this blog post on your facebook, twitter, or blog page so more people can enjoy this and get themselves organized. You can also pin it! 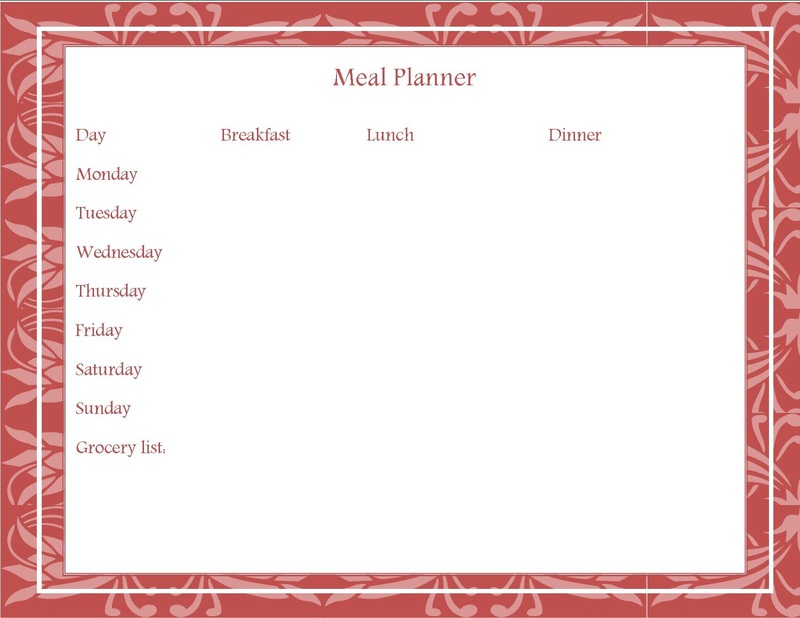 click on the link below to go to Google docs so you can download the entire set. Just add a binder with a see thru cover, slip in your cover page, tabs and you're ready to go.